Spring has arrived in New York, and with it the increased desire for lighter fare, and drink. 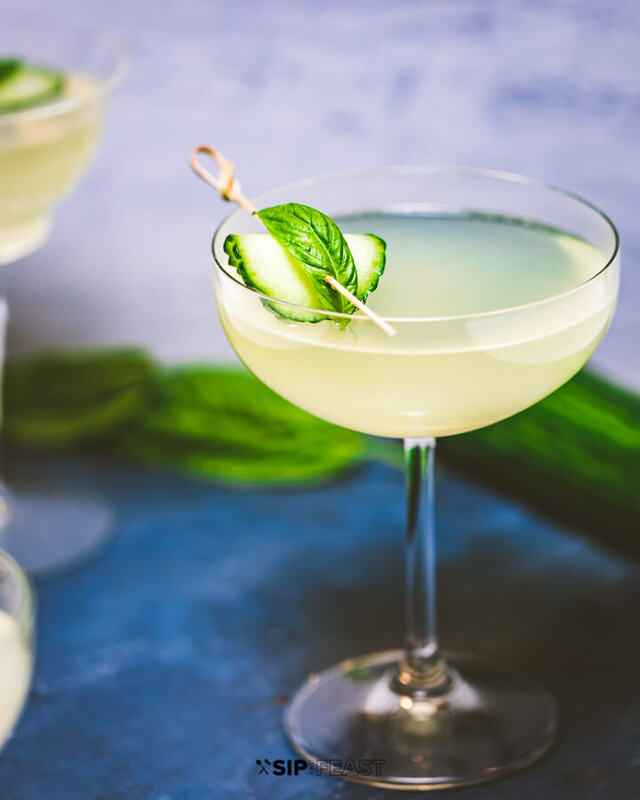 This basil vodka cocktail incorporates garden-fresh flavors and promises of warmer days to come and is lower in alcohol making it easy to drink. 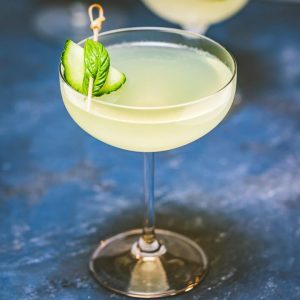 I love adding herbs to cocktails, and basil is one of those that is often underutilized, or overlooked in this category. If you also like using herbs in drinks, check out our Sparkling Lemon Thyme cocktail. Basil Vodka Cocktail Or Lemon Basil Martini? We struggled with naming this cocktail but sometimes it is just better to call it like it is! 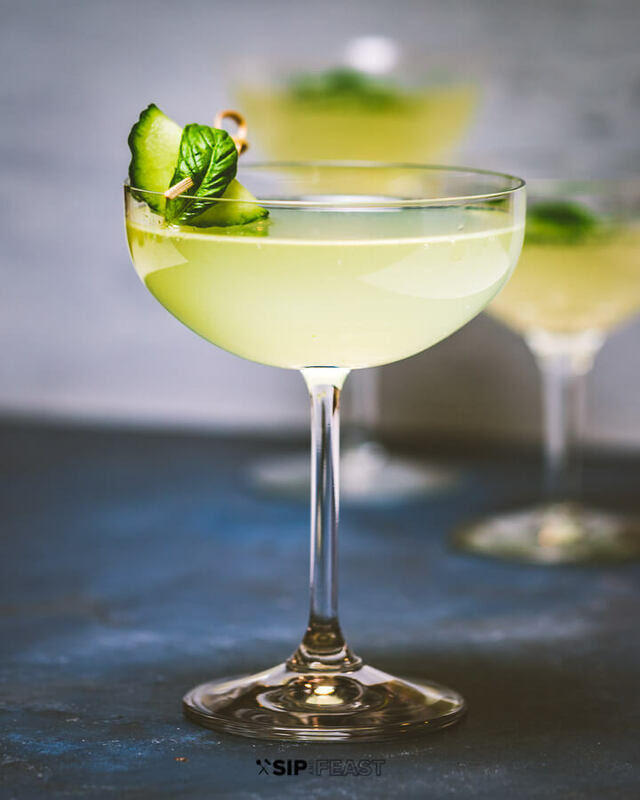 This is a basil vodka cocktail but if you are having a gathering, such as a brunch, and want to give it a fancier name, go for it! Try calling it a Lemon Basil Martini, or even a Garden Martini. And you could easily drop the vodka entirely and make it a Lemon Basil Mocktail! 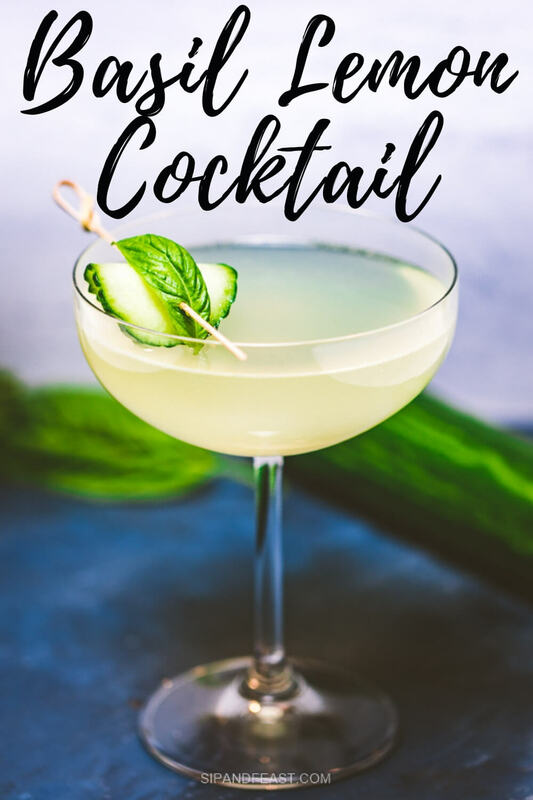 I first began making this drink several years ago after picking up a bottle of Crop Organic Cucumber Vodka. A friend of mine had mentioned that she likes combining this vodka with Pellegrino Limonata, lime juice and basil. Since we usually have basil and limonata in the house, this is something that can be made at any type with very little prep. I strongly recommend using a cucumber flavored vodka, such as Crop, Prairie or Effen, however, if you are opposed to the flavor of cucumbers, you could certainly use a lemon flavored, or plain vodka. And as mentioned earlier, drop the alcohol entirely and you have a delicious mocktail. As always, the first step is to gather your ingredients. The tools we used included a jigger, muddler, cocktail shaker, strainer, and coupe glass. Begin by slicing cucumbers, and lemon. Add the slices to the cocktail shaker, along with a few basil leaves and begin to muddle them together. Then, add the vodka and ice and give it a good shake for about 20 seconds. Strain and pour into a coupe glass and top with the seltzer and limonata, and a dash of the orange bitters, if you’re using. 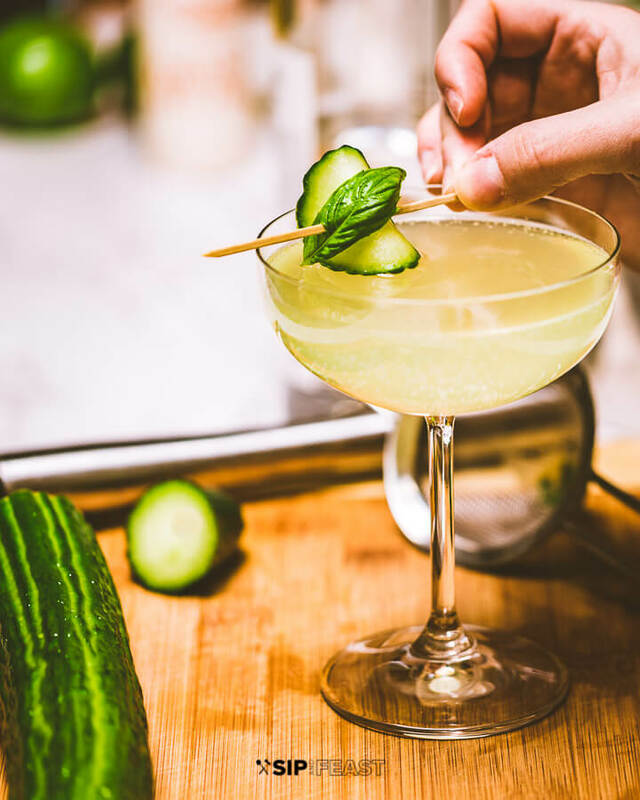 Finish by garnishing with a cucumber slice, and a basil leaf. If you prefer your drinks on the rocks, use a rocks glass and fill with ice prior to pouring. I’d recommend serving it on the rocks if going the mocktail route. That’s it! It really is that simple to make, and the gorgeous light green/slightly yellow hue makes me think of fresh, new springtime grass! 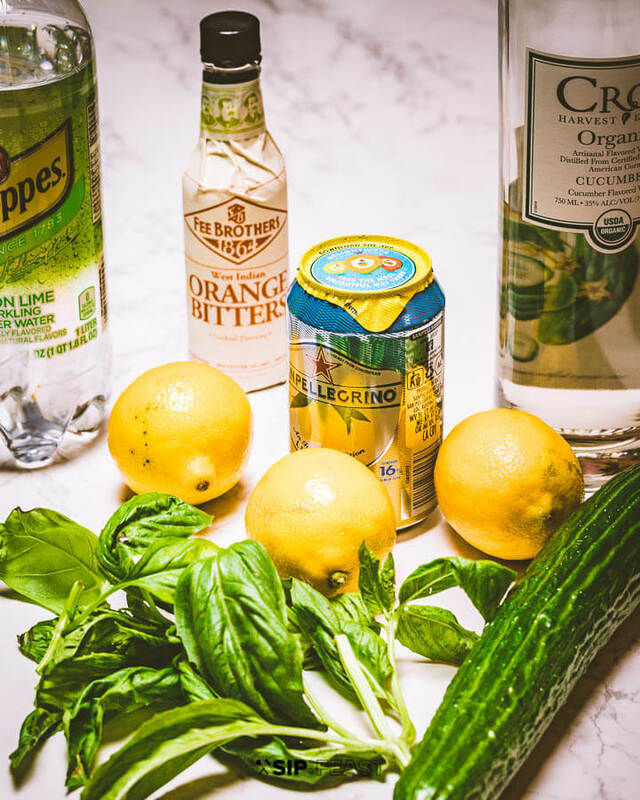 If you liked this Limonata Basil Cocktail recipe we would really appreciate it if you would share it on Instagram or Facebook using #sipandfeast. 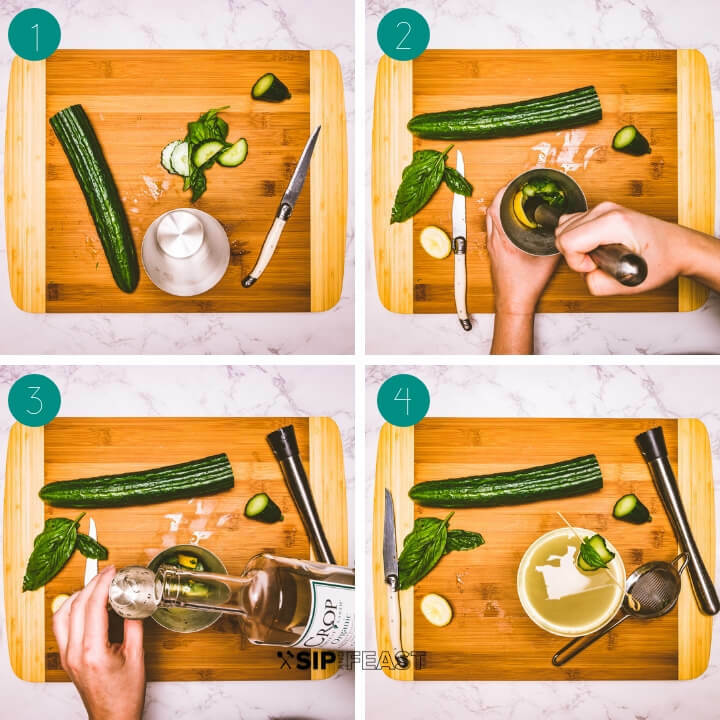 Add lemon slices, cucumber slices and basil leaves to a cocktail shaker and muddle ingredients together. Add Vodka and ice. Shake for 20 seconds. Strain and pour into a coupe glass, or over ice into a rocks glass. Add the Limonata and seltzer. Also, add orange bitters to the top, if using. Garnish with a basil leaf and cucumber slice. Serve immediately, and enjoy! What a lovely, refreshing spring cocktail. Must get my hands on cucumber vodka! Thanks! We love it for a light barbecue drink pairing. Cucumber vodka just went on the shopping list. Looks so good! Thanks Jo! We love using it on a variety of cocktails.